Eufy’s latest RoboVac doesn’t seem to have passed through the FCC, but somehow it’s already available to order.... Take a look! BoostIQ Technology: Automatically increases suction power within 1.5 seconds when extra vacuuming strength is needed—so you get the best clean. 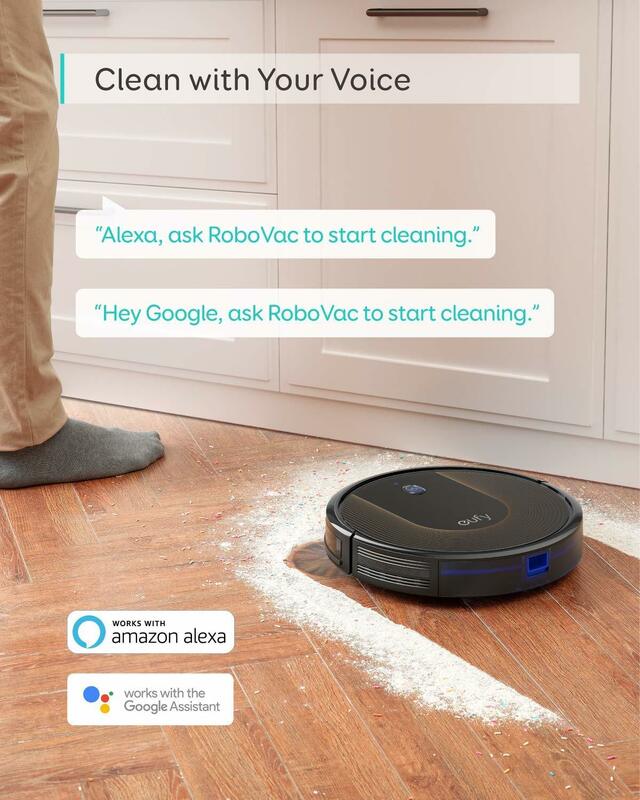 What You Get: RoboVac 30C, 13 ft Boundary Strips, remote control (2 AAA batteries included), charging base, AC power adapter, cleaning tool, extra set of high-performance filters, 4 side brushes, 5 cable ties, welcome guide, and our worry-free 12-month warranty. Unfortunately, we still don’t get Siri HomeKit or IFTTT support here. Pricing and Availability: eufy’s RoboVac 30C is available to order right now via Amazon US for a cost of $299.99, and should begin shipping immediately. 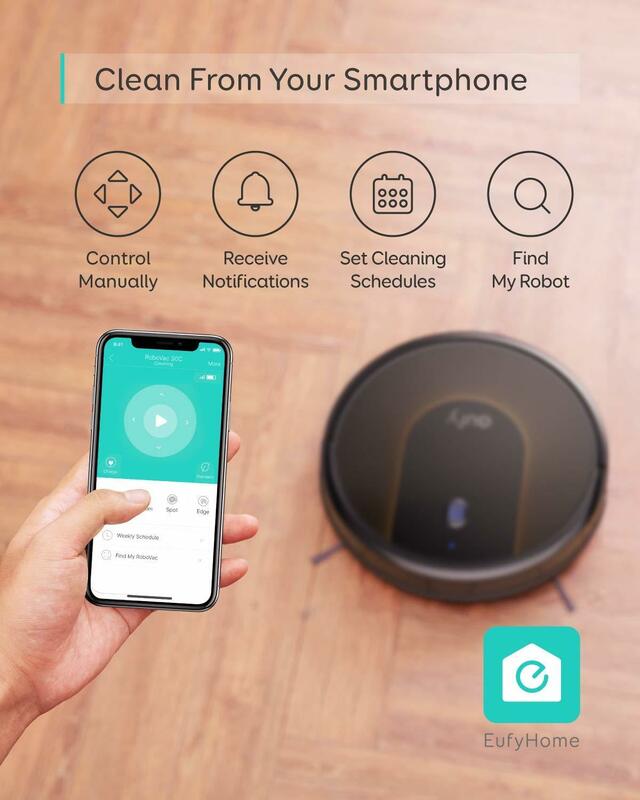 What are your thoughts on eufy’s latest and greatest RoboVac? Would you consider getting one, or will you be waiting for the 30S later this year? Let us know everything you’re thinking by replying! Personally, I’ll hold off on upgrading my RoboVac 11 until eufy releases a version with mapping capabilities. You know what intrigues me? That the company producing some of the best portable batteries in the world ships products with remotes requiring AAA batteries! Speaking of which, why don't Anker produces rechargeable batteries in the standard formats? The only thing I would like to have with my 11S are these strips. Those seem to me very helpful. Probably because Anker uses batteries made by companies such as Panasonic (etc) and assembles them into whatever battery pack they are engineering/building. AFAIK, Anker doesn't actually make the batteries they use in their battery packs. Yep, they prevent the RoboVac from traveling into places you don’t want it to. In my opinion, it would be better if they used virtual barriers (like the 20 had), but hopefully we’ll see those again in a future version. Whats the difference between this and the 11c? This is much more powerful, has a slimmer design, and includes boundary strips. IFTTT. IT IS NEEDED! Anker, pull your thumbs out!